SHELBYVILLE, KY (WAVE) – "See that silo top over here," Maury Cox, the Executive Director of Kentucky Dairy Development Council, said. "That used to be a dairy farm. There was a dairy farm, two dairy farms along the road." Now, to some, those fields are a painful reminder of a way of life that may soon be no more. "For many of them, it's difficult to talk about," Cox said. A tough discussion, but one that, as the reflection of a camera in Cox's sunglasses shows, is his job to have. "They're having to sell their animals at less than half the value," Cox said. As we've reported, Cox said 19 dairy farmers, mostly from North Central Kentucky, got a letter in March from Dean Foods saying the company would no longer be buying their milk after May. "They're heart broken over this," Cox added. Walmart, who Dean Foods had supplied with milk from Kentucky, according to Cox, was building its own processing plant in Northern Indiana and sourcing milk from around it instead of Kentucky. Machines still churning, Kentucky farmers were forced to find alternative buyers by May 31, when Dean would no longer be purchasing their milk. Cox said that deadline was eventually extended to July 1 because the processing plant, being built by Walmart, was not yet in operation. Regardless, farmers were still struggling with the looming cutoff. "Producers are looking for avenues or ways to exit the dairy business," Cox said. "We've been unable to find anyone that would be willing to go past the gatekeepers to get milk into the processing plant." 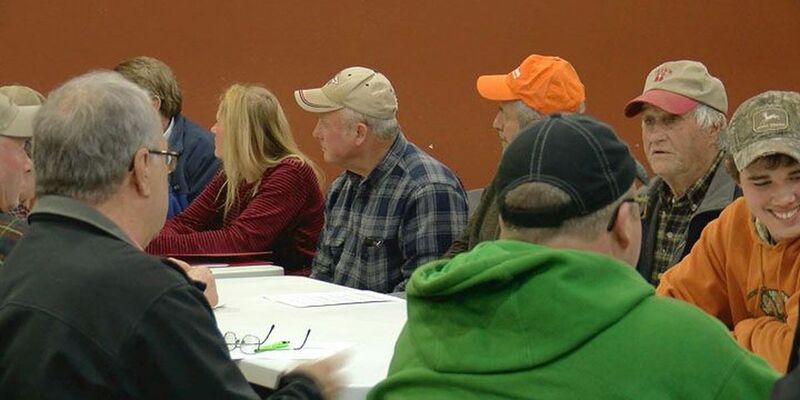 Cox said farmers, along with the governor's office and state agriculture leaders, have arranged a number of discussions with potential buyers. Governor Bevin posted a video saying that he's working to help dairy farmers on social media. "It is not easy," Bevin said, in the video posted to Facebook. "It is not easy at this time. I do understand it." A representative said Governor Bevin's Office of Agricultural Policy and the Kentucky Department of Agriculture continue to work with the Kentucky Dairy Development Counsel to locate new markets for Kentucky dairy producers. What was once a hope that a business would come in at the final hour to buy the product -- during a time when milk consumption is decreasing, according to Cox -- is now a sense that no options are left to compete with out of state milk producers for some families who've been tending cows for decades. "We have turned over every rock, let's say," Cox said. "We're very concerned about their mental health." Cox said there used to be hundreds of dairy farms in Shelby County, but now there's just a handful.